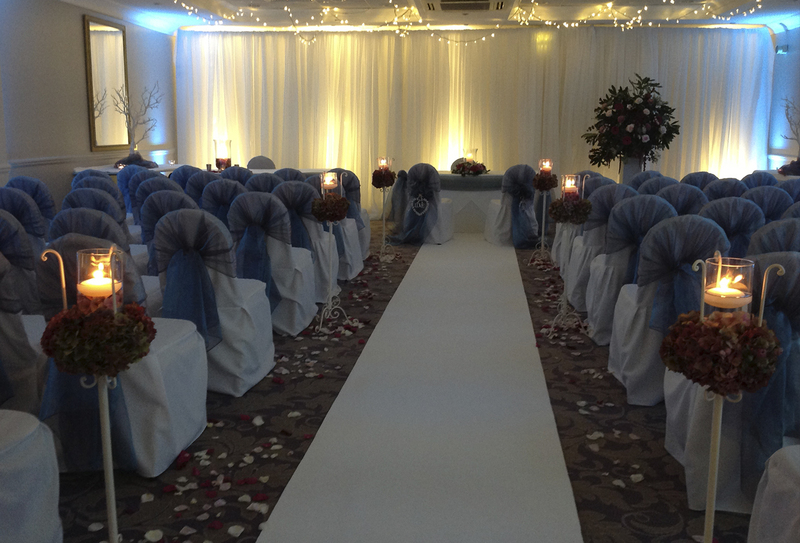 Complete your ‘White Wedding’ with a pure white aisle runner to compliment your chair cover. Available as a standard width of 1.2m or additional width up to 2m. Create a professional look using a DJ Booth surround to conceal DJ deck units and cables. Options include: Star cloth (available in Black or White), Mirrored, Art Deco or Themed booths. Plus why not dance on stars for the night?! 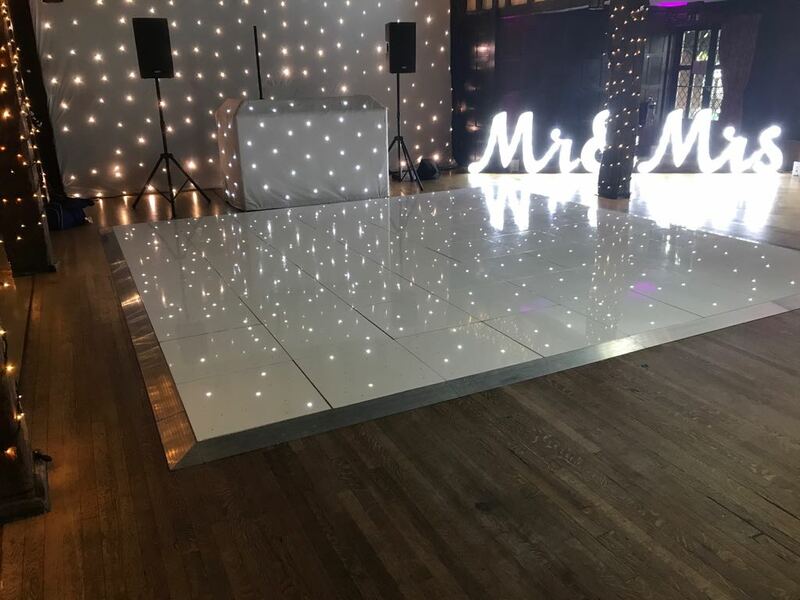 Our Sparkly Dance Floors look truly magical in White Gloss or Black Gloss. We ensure the dance floor is well presented on your special day with each panel machine polished to produce a clean gloss look before delivery to your venue. Complementing the dance floors we also have LED Star Cloths in Black or White to provide an effective, classy look to the dance floor area for the evening party, creating a “Stage Set” behind the Band or DJ. Recommended sizes are 6m x 3m LED or 12m x 3m LED star cloths but contact us for other heights & widths available. 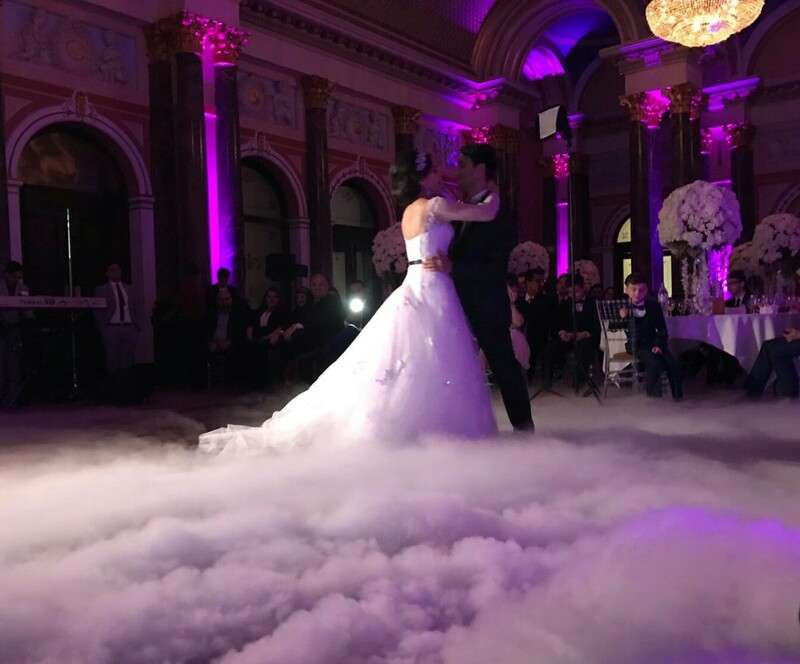 The dry ice effect will fill the dance floor area creating a “Dancing on Clouds” effect for your first dance. The “Wow” factor will look amazing in photographs taken of this special moment. 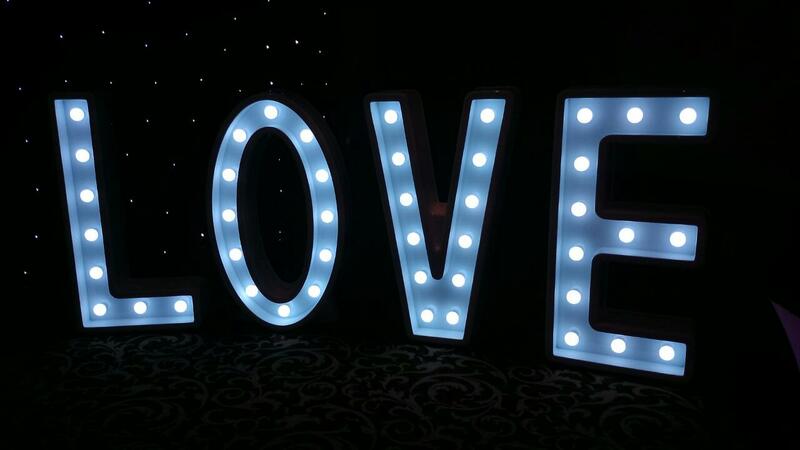 When you want to show your wedding guests how much you mean to each other, how about saying it with 4’ High LED “LOVE” Letters. They light up using LED bulbs which can colour change for that added extra special ‘Light Touch’. Circular Bistro Poseur tables 1120mm high x 600mm diameter with White stretch covers. Additional Black Toppers can be illuminated with LED uplighters. Popular in & around Dance Floors and Bar areas as they are stylish & contemporary, providing somewhere for your guests to put their drinks. If it is appropriate and possible, Table Pin Spotting will add an extra dimension to a dressed table setting for your wedding breakfast or special occasion dinner. 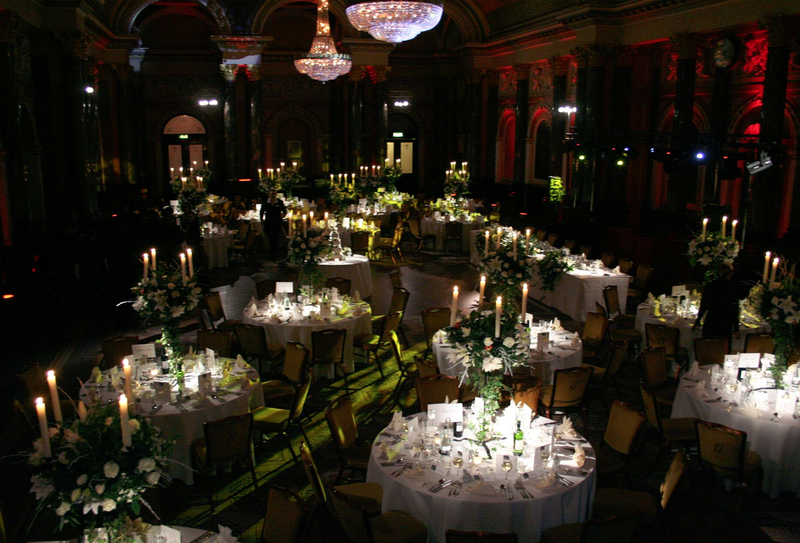 Highlight table centres, floral displays & cake tables. 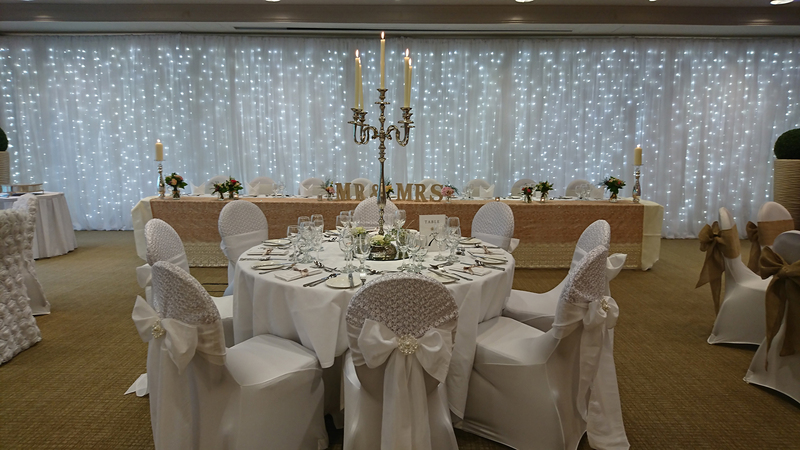 Add a touch of elegance to your top table with one of our white Voile Backdrops. 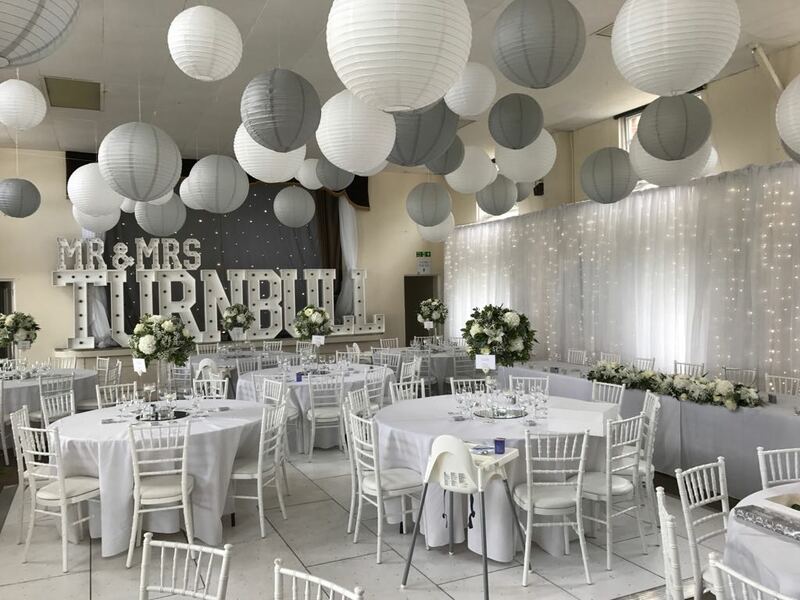 Various styles are available ranging from a simple white lined Voile Drape with Uplighters to something more elaborate incorporating Fairy Light curtains. Alternatively, should you have a bespoke requirement we are happy to discuss your ideas. Disguise walls or create small spaces within larger ones. 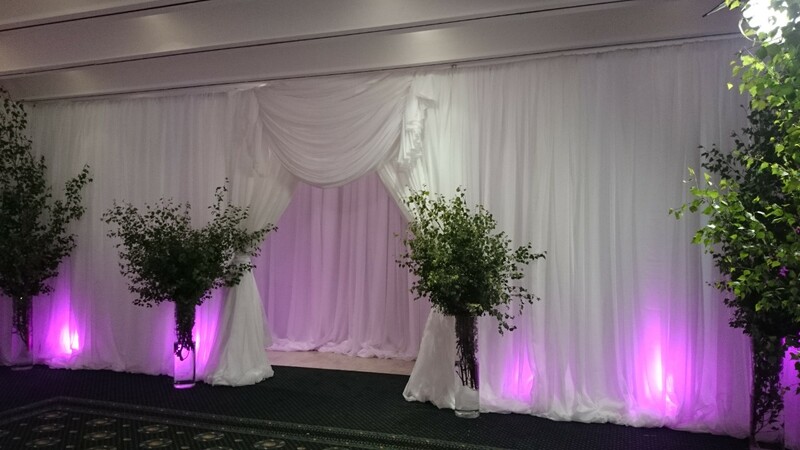 Should you wish to cover up an unsightly wall within your chosen venue or create smaller rooms within a larger space, we offer a variety of drapes and backdrops. We offer a range of Fairy Light Ceiling Canopies & decorative fairy light strings. 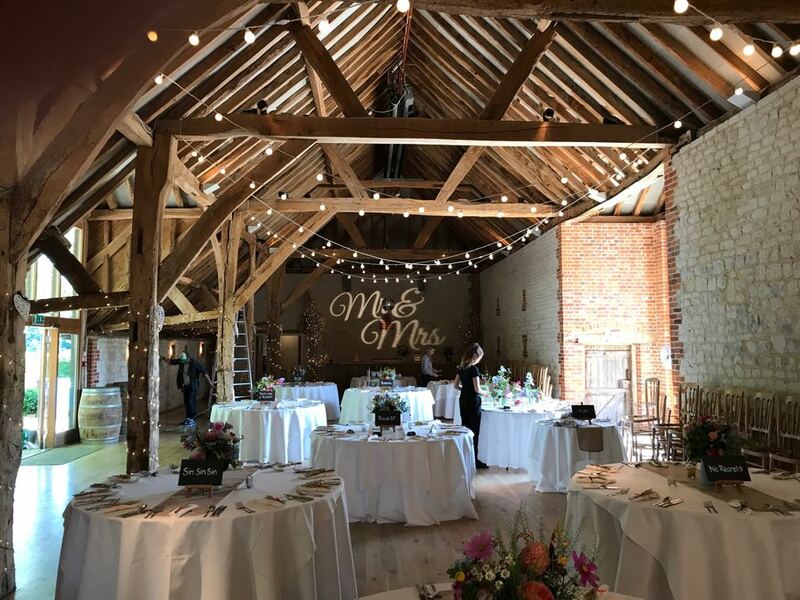 Suitable for barns and venues with suspended ceilings or hanging points, fairy lights can also be used to dress galleried landings, stairs, beams & pillars. Add your own personal touch using a bespoke made monogram. Produced as a vinyl decal graphic applied to the dance floor surface or made as a “Gobo” to be projected onto a wall, floor or ceiling. 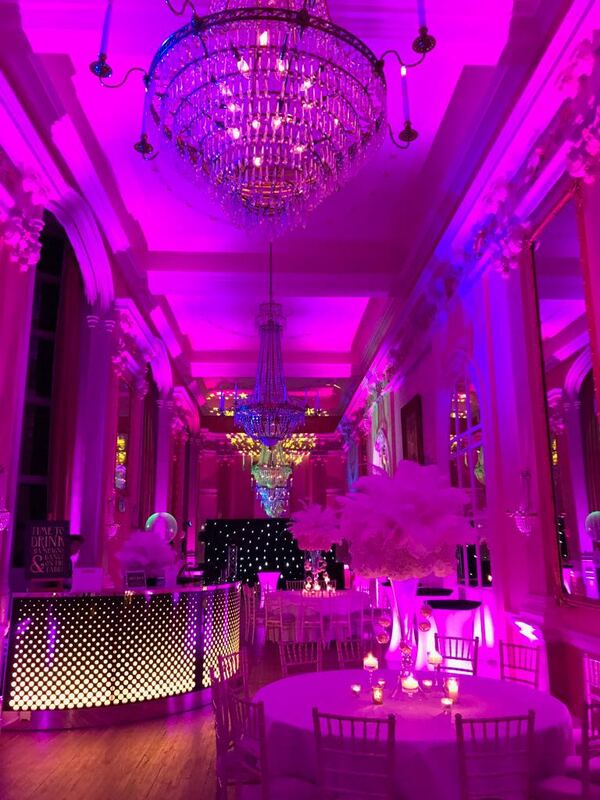 Whether it is romantic lighting for the perfect wedding or impact lighting for your party, creating the right mood is essential to ensure your guests have a night to remember. 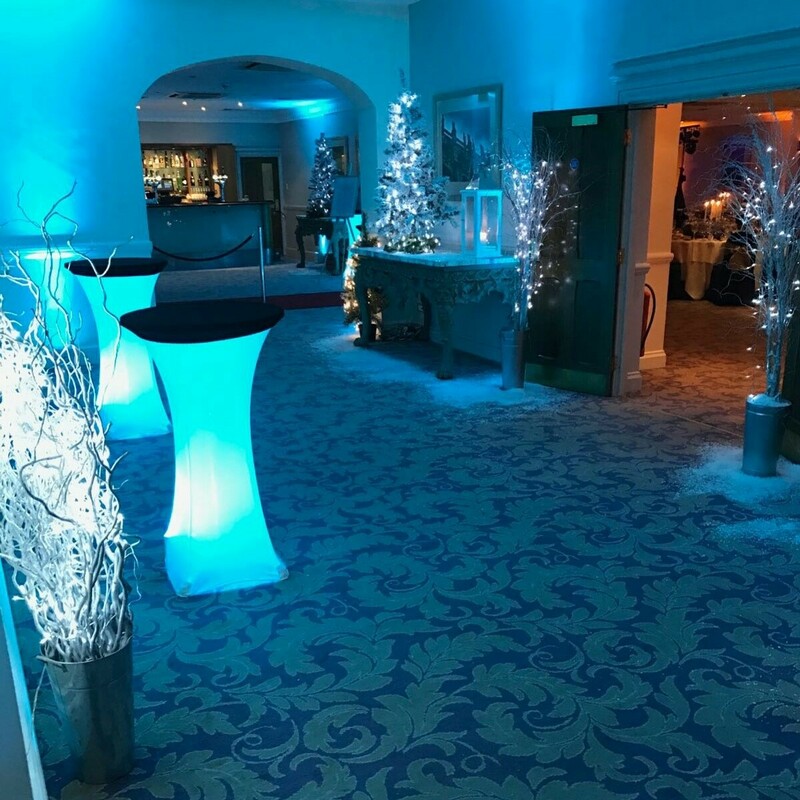 We can position LED light units around the suite set to a static colour to compliment your chosen colour theme; and units around the dance floor can also be set to colour changing sound to light mode for the perfect party. With so many options available, we know it can be a daunting process choosing the best styling to fit your venue & make your event more memorable. We are here to help & advise, so please get in touch. Please get in touch as we love to talk about weddings and special occasions!